You will receive the residence with open arms at the holiday accommodation of Orcieres 1850. 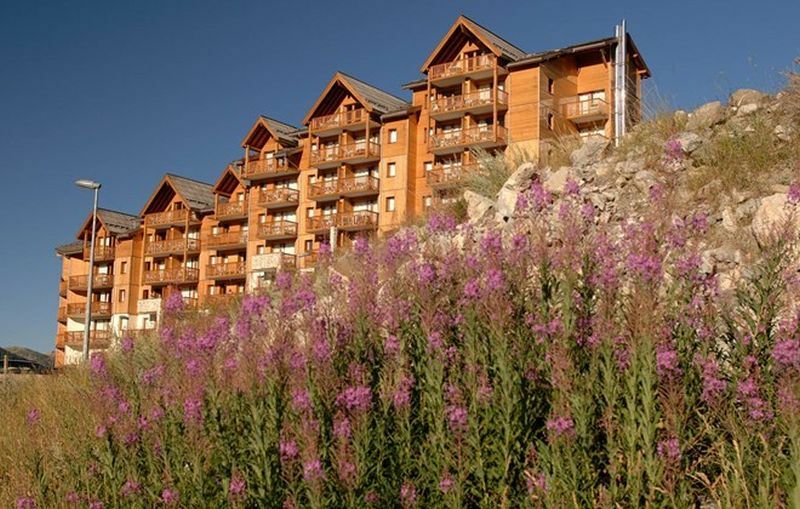 This residence is located in the heart of the ski resort Orcieres Merlette close to the shops. It offers comfort and comfort of an all-round ski residence for a ski holiday in complete freedom in the Southern Alps. An elegant residence with a wooden exterior and a mountainous architecture, with a heated indoor pool and sauna, for a moment of well-being, after a day of skiing sports. The apartments are, studio apartments for 4 people to apartments with 3-4 rooms for 7-8 people with a fully equipped kitchen corner with ceramic hob, microwave and grill, dishwasher, almost always a separate toilet, television for a fee, balcony. This studio is suitable for 4 persons and has an area of ​​approximately 25m2. It consists of a living room furnished with a pull-out sofa bed for two people; a sleeping corner with a bunk bed; a fully equipped kitchenette (ceramic hobs, dishwasher, microwave / grill, fridge / freezer); a bathroom; a separate toilet; and a balcony. Bed linen is included in the rent. Please note that pictures of the interior of the accommodation are given with indicative title only. You can use a covered, heated swimming pool, sauna for a fee, laundry for a fee, Wi-Fi internet connection at the reception for a fee, covered parking for a fee. Bed linen is provided, for an additional fee you can book a television that is already there, a baby package with bed, bath and booster seat, final cleaning. During summer, fun activities are organized for children, free in July and August, guided hiking tours, two half days per stay. You must pay a deposit for the apartment and cleaning and tourist tax on location on arrival. The tourist tax is for those who are older than 13 years. The deposit will be returned to you by post on the day of departure after inventory. The accommodation must be left spotlessly clean, if that is not the case, you will only receive a part of the deposit. Pets are allowed for a fee provided they have a money vaccination certificate, provided they are kept on a lead at the residence. The Orcieres 1850 ski resort of Orcieres Merlette, has successfully combined with the modern amenities and infrastructure of the large ski resort with the friendly atmosphere of a village resort. It lies in the Southern Alps, at the junction of Champsaur and the Valgaudemar, here Orciereds offers a great environment where you will find a varied ski area with beautiful sunny Alpine ski slopes for various levels of difficulty for multiple types of winter sports. A family ski resort in the Alps, ideal for children, thanks to equipment and amenities, in addition, Orcieres Merlette offers a lively nightlife for all ages. A very special facility is the great Palais des Sports with a water sports area, a skating rink, bowling alley, health and well-being region.